We have all seen the famous National Lampoons Vacation movie with Cousin Eddie, he is a person that will do anything to get a free ride. He is the type of person that nobody wants in their house at all, or if he is a guest, he can only be a guest for a very short time. Unfortunately, Florida has a lot of Cousin Eddie’s that are seeking to take advantage of others. In Florida many property owners are faced with real life Cousin Eddie’s that will take advantage of the laws in Florida in order to live for free and/or cheaply. In Florida there are various laws that address the removal of persons from your property. A lot of people throughout Florida have been faced with the issue of how to remove someone from their property. Sometimes, Cousin Eddie was an invitee and then he overstays his welcome. Other times, Cousin Eddie was never an invitee and has no legal right to remain on your property and is simply squatting on your property. In other situations Cousin Eddie may have a written rental/lease agreement or may have been submitting rental/lease payments for a certain amount of time. In Florida there are three primary vehicles for removing Cousin Eddie from your property. Eviction. If Cousin Eddie has a written lease agreement, or regularly pays rent for the property, or pays of utilities or other expenses directly associated with the property, then Cousin Eddie will be deemed a tenant under Florida law. In these situations, Chapter 83, Fla. Stat., applies because a landlord-tenant relationship exists. If Cousin Eddie fails to pay his rental/lease payment then the landlord has the right to file an eviction action against Cousin Eddie in order to remove him from the property. 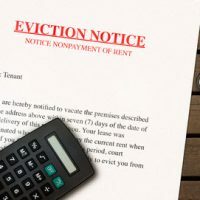 The advantages of filing an eviction action is that it affords the landlord with prosecuting the claims via summary procedure. In normal Florida litigation the Defendant has twenty (20) days to respond to a complaint. Pursuant to section 51.011, Fla. Stat., also referred to as summary procedure, the Defendant/Tenant has five (5) days to respond to a complaint. The rationale for this shortened time frame is that time is of the essence in eviction matters. Florida courts recognize in most often times in these situations the landlord is not being paid any rent. As such, summary procedure is available to expedite the litigation. Unlawful Retainer/Forcible Entry. If you invited Cousin Eddie to stay with you for a month without payment and then once the month is up Cousin Eddie refuses to leave, then you as the property owner will need to file an unlawful detainer against Cousin Eddie. An unlawful detainer action is governed by Chapter 82, Fla. Stat. Further, unlawful detainer actions also have the benefit of being prosecuted via summary procedure. What is a crucial factor in an unlawful detainer action is that Cousin Eddie’s permission to be on your property is not predicated upon a lease agreement, so Cousin Eddie does not have to pay rent in order to remain on the property. If you never invited Cousin Eddie to stay with you, but instead he showed up and started squatting on your property then you as the property owner would need to file a forcible entry. This cause of action is also afforded the benefits of summary procedure. Florida was inundated with forcible entry actions during the foreclosure crisis. During the foreclosure crisis, many individuals without any right to the property, squatted and treated properties as their own in efforts to live for free. Ejectment. Imagine for a moment that Cousin Eddie showed up to your property, provided a copy of a deed from the prior owner of the property to Cousin Eddie written in crayon and with gold star stickers all over it, and then informed you that he would be staying for a while at your property, because he also has an ownership interest in the property. In the event where a party refuses the property and the refusal is predicated upon some claim, whether frivolous or meritorious, to the property, then the Landlord/Owner must file an ejectment action pursuant to Chapter 66, Fla. Stat. Ejectment actions are not afforded the advantages of summary procedure. The biggest distinction between an unlawful detainer and ejectment action is that the Defendant in the action for ejectment is claiming some right, interest, or title to the property. Bottom line. If you have a Cousin Eddie issue then you will need to take affirmative action to protect your rights and have Cousin Eddie removed from your property. Do not hesitate to contact Sweeney Law, P.A. to protect your rights. Brendan A. Sweeney, Esq., of Sweeney Law, P.A., has litigated complex real estate claims on behalf of commercial and residential landlords and tenants throughout the state of Florida. Brendan A. Sweeney, Esq., is an AV Preeminent Martindale Rated Attorney, that has been recognized as a Florida Legal Elite Rising Star Attorney in 2014, 2015, 2016, 2017, and 2018. If you have any Florida real estate law questions and/or issues then contact Sweeney Law, P.A. at (954) 440-3993 immediately to protect your rights. www.sweeneylawpa.com.